Need inspiration to get those great photos off of your phone & into the real world? 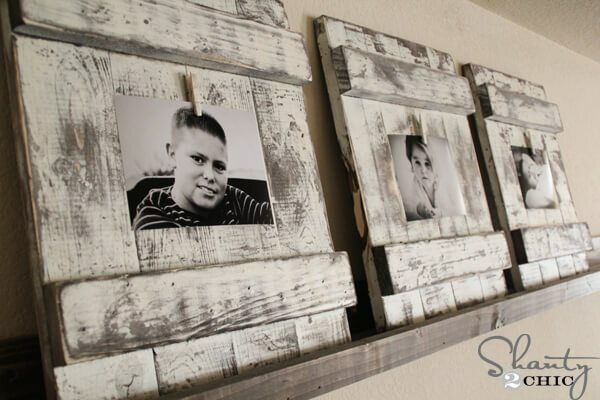 Check out these DIY picture frame ideas - great for home decor or gifts. Even in today’s digital world, a photograph you can hold in your hand and display in your home is a treasure. Photos preserve precious memories, make a room unique and beautiful, and offer an opportunity to express your taste and personal style. The trick to elevating a simple snapshot into a cherished memento lies in the frame. Frequently, commercially available frames can range from ugly and cheap to stunning and ridiculously expensive. The solution is simple for a DIY’er: Do It Yourself picture frames. Making DIY picture frames is a craft that everyone in the family can enjoy. It’s also a great way to make inexpensive, personal and charming gifts, and allows your imagination and creativity soar. We’ve collected 31 of the coolest, most unique, and charming DIY picture frame ideas out there. We found so many that we were able to split them into categories: Unusual, Upcycled Items; Nifty Tricks; and Frames from Books, Paper, and Wood. Enjoy finding the perfect showcase setting for your best memories! Creating a photo lamp is elegant, interesting, practical AND beautiful! It’s the perfect project to customize as a gift, or to use as table settings at special events. All you need is a trip to the craft store for inexpensive frames, strong adhesive, vellum (more on that in a moment), a mirror, and printed photos. Look for vellum in the scrap booking paper section – it is similar to wax paper, but without the wax. Gorgeous! To learn how, go here. Simple, charming, and infinitely adaptable, Mason jar picture frames also make wonderful gifts and centerpieces. Create an entire fleet of them in different colors, and scatter through the house or make a focused display of photos and flowers. 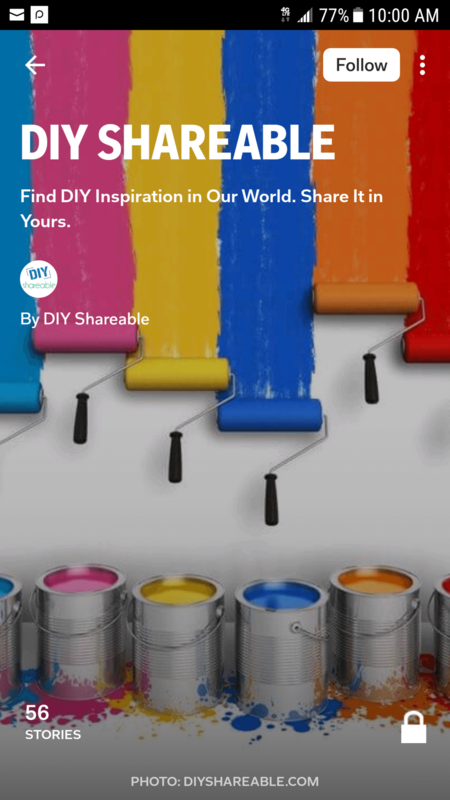 Just round up Mason jars, colored paint and clear paint, and of course, your picture! Find out how here. This might be the most creative picture frame ever. And, if you happen to have a scrap computer around, it’s practically free. Listen to the podcast to learn how to make your own. Almost any antique window can be adapted to make a stunning picture frame, either for multiple smaller photos or one giant one. Spruce it up by using metallic or colored paper in any gaps behind the pictures, attaching embellishments, and adding a new coat of paint and varnish. Or, leave the window distressed for a shabby chic aesthetic. Learn how here. Similar to the window idea, you can upcycle old pieces of wood, fencing and doors to make unique frames. It’s simply a matter of cutting down any found pieces to the right size, and adding paint and enamel. This particular project also features charming clothespins glued to the wood to hold the pictures in place. Find all the details at It’s Overflowing. Take a photo, an embroidery hoop, and fabric for transfer and end up with a delightful frame! We’ll feature several more terrific DIY picture frame ideas focused on transferring photos on to different surfaces soon, but this one may win for pure charm. Learn how here. Love, love, love, love this idea! Start with one and you may end up so entranced, you have a wall of medallions brightening your home. You can just tape the picture, or look for photo frame inserts, then hang your masterpiece with a pretty ribbon. Learn more at 12th & White. What a perfect use for beautiful candy boxes – especially if you take a few photos during a special night out! There’s nothing tricky to this – all you need to do is glue the bottom and top of the box together, then cut an easel to allow it to stand. See more here. Image via Our Holly Days. Here’s another infinitely adaptable project idea. This particular version uses matchbox cars, but imagine this with other toys, painted any color that pleases you. Start with a basic frame, employ the magic of glue and paint, and voila, Recycled Toys! All the details are at Our Holly Days. Try this particular project out with your child as they outgrow play with favorite toys. You’ll be able to teach them not just a craft, but the concept of recycling and preserving beloved items and memories. Here’s the details. Ever find yourself with a stack of books and a stack of photos and no place to put either? Solve two problems with one craft by making your books into picture frames. For this version, you’ll cut into the pages and display the book open. For this version, the book is still completely readable since you place the photo into the cover rather than the pages. Have fun associating particular books with special photos. Place a school graduation photo in a favorite coursebook for a graduate, or a picture of a memorable adventure in a copy of an exciting book. This is a 15-minute project with infinite possibilities. See all the details here. If you love paper crafts, this is the picture frame project for you. Learn to paint a faux wood grain using watercolors, then consider branching out (pardon the pun!) to other painted designs. Read the full tutorial here. With a little software, you can create any type of frame you desire. Find a design that you like, a little vinyl, and a saw and you’re in business. A bit of paint or embellishment lets you customize your creation further. Gingersnap Crafts has the complete plan. Washi tape is incredibly versatile, easy to work with, and available in a multitude of colors and patterns. Make this frame with a basic inexpensive wood frame, any paint you like, then add washi tape. One of the great things about this type of tape is that you have a little leeway to experiment with placement. Peel and re-stick until you have exactly the design you want. Find out more here. You don’t need to be an artist to produce a gorgeous watercolor. Using the Waterlogue app (on iPhone for $2.99), upload any photo for a beautiful result. Print on paper and frame, or consider other possibilities for creatively transferring the watercolor photo to a variety of surfaces. Find out how with Eclectically Vintage. Whether you use a regular photo or a watercolor version, canvas-based artwork is stunning and adaptable to every style. Try creating out-sized pieces, or a variety of differently sized smaller collections using basic decoupage. Check it out here for a tutorial. Here’s a similar idea, transferring the photo to wood rather than canvas. The result is similar – you have a professionally polished piece perfect for public display. Many decorations are expensive and not that stylish to being worth your attention. With the tricks featured in this tutorial, you can make your own custom piece of decoration. All it takes is a picture, piece of wood, and Mod Podge. See how here. Another surface to consider is tile. With this technique, you can create coasters and backsplash tiles as well as simply a framed photo. It’s a little bit of a trickier project, but this tutorial will walk you through it. Finally, here’s how to transfer pictures onto glass. It’s another incredibly flexible skill to have, allowing you to create a range of objects such as a photo-based “stained glass,” serving trays, dishes, or stunning wall décor. Learn the technique at Do Small Things With Love. If you want a classic wood frame without the high price tag, and have basic woodworking skills, this project is perfect for you. Make sure to cut a precise mitered corner, and that the opposing ends of the frame are really exactly equal for the most professional look. Paint and stain any way you choose! Full tutorial available here. Large-scale picture frames can be prohibitively expensive, but they sure do make showstopping wall hangings. Make it affordable by making it yourself. You’ll need woodworking skills and a range of standard tools, but the technique isn’t difficult. Learn more here. Similarly, if you want a particularly delicate frame you might need to create your own to get exactly what you need. Fortunately, with standard tools, bits of wood and a little plexiglass, you can make the perfect frame. All the details are at Oh Happy Day. Here’s another basic, simple wooden picture frame tutorial that walks you through every step very clearly. It incorporates nails as well as glue for an especially solid frame. Find out more here. In this case, you’re still creating a wooden frame from scratch, however the clipboard look means it is both extra charming and extra easy. If you can cut down a board, and finish it, you can make these! When in doubt, cover it in gold! Using any basic frame, you have the option to add on a laser cut layer or other embellishment with a glue gun, then simply paint it a bold metallic. Walk through the steps here. A cute, easy clothespin frame makes a great gift as well as a good craft to share with a teen. Gather your clothespin, glue, a basic picture frame, and, if you like, some paint. That’s all you need! Follow along here. Similar to the clothespin frame, you can use tiny twigs to make a rustic frame. This DIY picture frame is ideal for preserving memories from camping trips or other outdoor adventures. It’s beyond easy, and perfect for kids as all you need are twigs, glue, and a frame. Learn how at HGTV. This craft takes the twig frame to the next level. Instead of adding twigs to a pre-constructed frame, the branches become the frame. Keep the branches as close as possible to the exact same lengths on opposing sides for a more polished look. Or, make a playful asymmetric frame and add a colored mat for pizzazz. See the details here. Wooden photo blocks make a beautiful display, and also a great gift! Make a set for new parents using baby photos, then add to the set and update it in a few years with photos of the children as they grow up. The entire family will be charmed. Check out Two Busy Blondes for more. Simple and cute, this is a great back-to-school project, perfect for framing the year’s school pictures. All you need to do is spray paint a basic frame, cut down some colored pencils, glue, and varnish. Easy! Find more details here. Hopefully, you’re inspired by the knowledge that with a little creativity and some inexpensive supplies, you can successfully move your favorite photos off your phone and into your life. It’s worth a little bit of time to make a unique decoration for your home, or gift it to a friend. There is nothing better than a gift that fuses art, memories, and love into one package. Have a wonderful time preserves memories and making new ones. Let us know in the comments your favorite projects, and send photos of your successes – we love to see them!